These newly designed hoodies will be ordered periodically and can be shipped out upon request. We will place the next order in September, 2019. 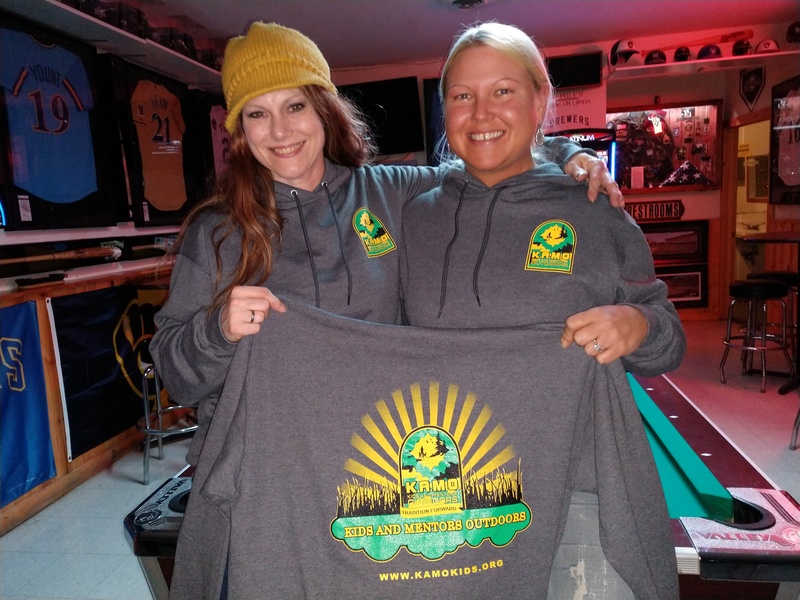 Thanks to Angie and Katie of La Crosse for their willingness to be our “KAMO Wear people”. 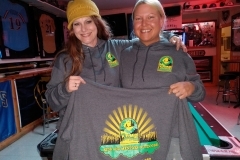 These hoodies come in heather gray as pictured, are fleece lined with a cotton/ polyester shell. Super comfy. 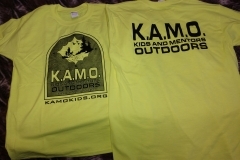 They feature the colorful KAMO compass/ apparel logos. They are $30.00 each plus $1.15 shipping per unit. We have experimented with t-shirts over the years. 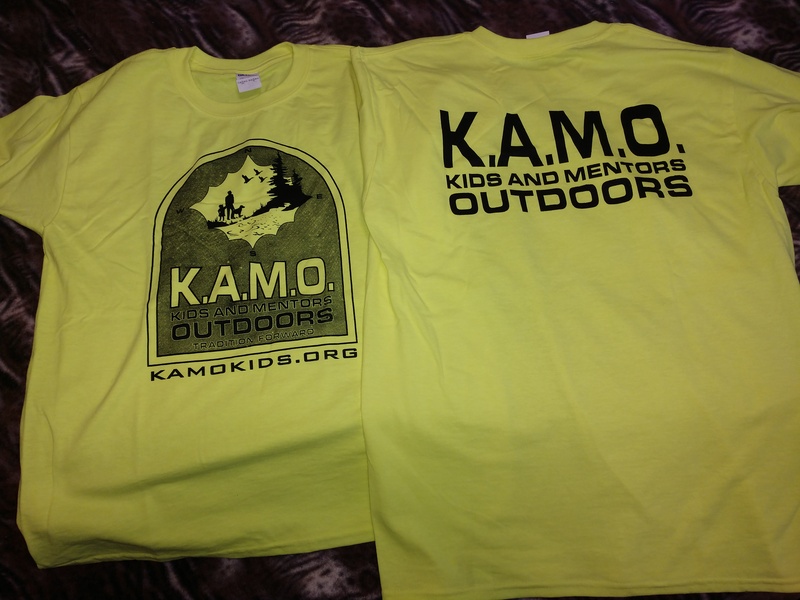 This has been a favorite – neon with the KAMO logo on front and the name of the group on back. 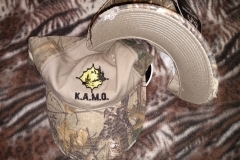 We can sell these at $12.00/ each and $.25/ unit shipping. 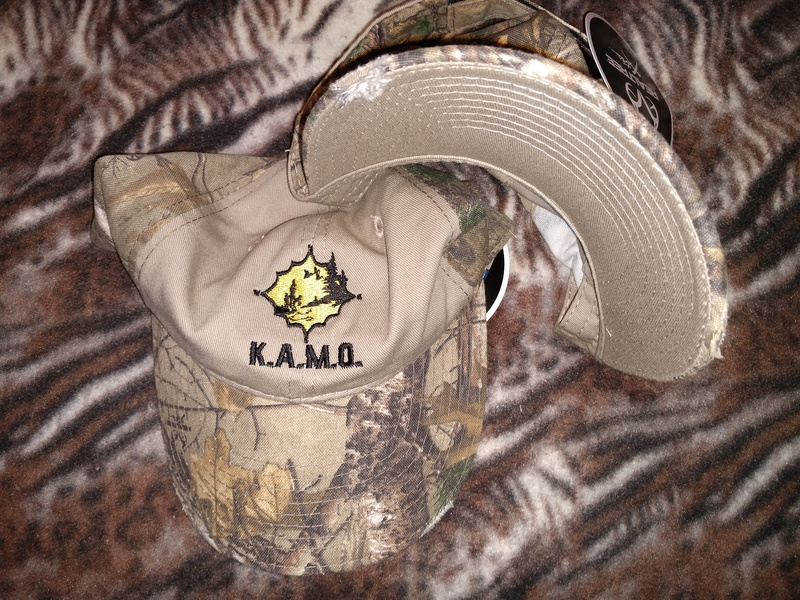 These hats are the Coulee Chapter’s iconic “distressed bill hat. They were ordered by accident the first time. The first order absolutely flew out of the box. That look was appealing to most people – a little worn out. We never looked back and have routinely ordered the distressed bill ever since. We can sell these at $12.00 plus $.25/ unit shipping. Contact Mike at brownmtjc@gmail.com or 608-799-5037 for ordering details. He’ll need size, quantity, and delivery address information. Insurance on package is optional and extra. We currently have some youth size t-shirts, a few hats, and a very few hoodies. As mentioned above, we will put in a combined order in January if there is interest.